It's winter, I can tell you now the last thing on my mind is putting together a cute outfit that matches my eyes because I'm grabbing anything thats going to keep me warm... and then covering it up with five thousand layers. 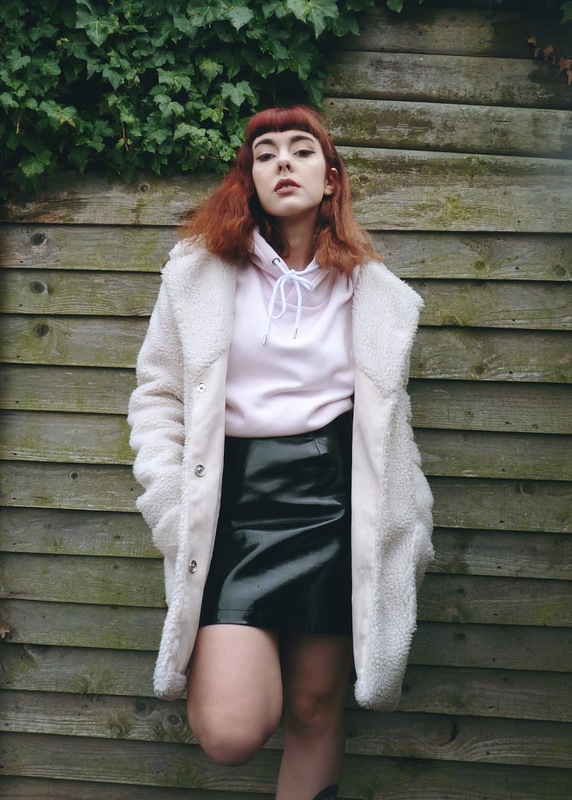 I think fashion bloggers everywhere can agree that winter can be a tricky time to blog - not only is the lighting against you but you're also shooting an outfit freezing your boobies off whilst not trying to outfit repeat because you own one winter coat that you've featured so many times on your blog. As someone that works full time it's tricky because my casual work gear isn't anything special, the outfits I adore and share are what I put together to look nice when going out or new items that I'm dying to style. 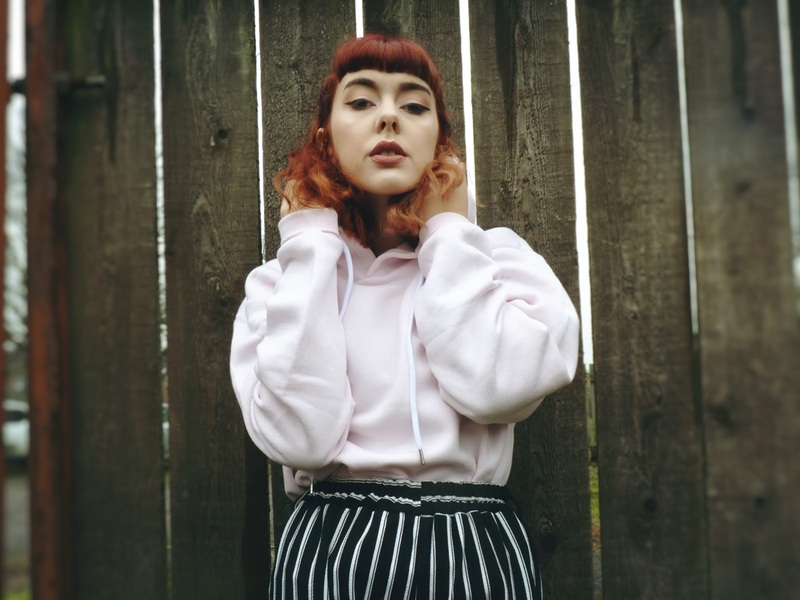 Secretly behind the nicely put together outfits on Heartshapedbones I'm a giant needy comfort gal that lives in hoodies until atleast the end of spring. 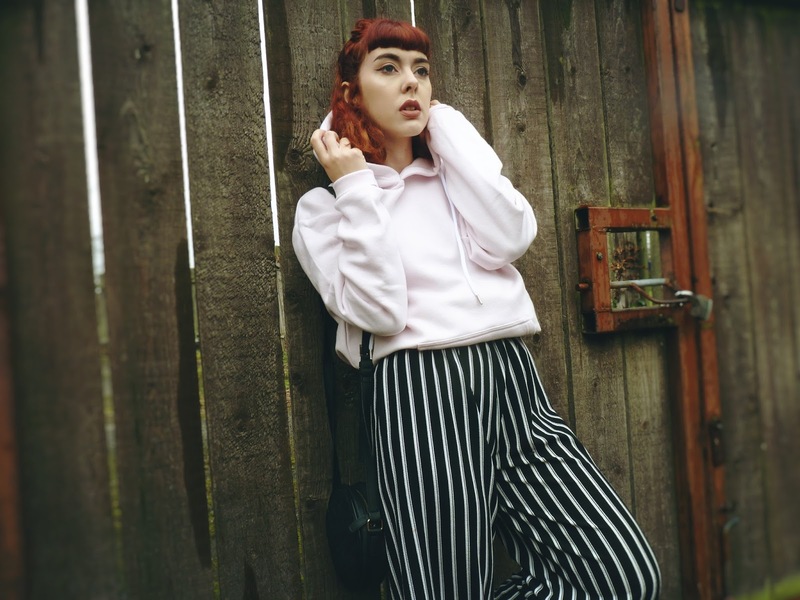 I find that style of casual fashion really hard to style despite it being my go to comfortable wear, so when Nicce London got in touch offering me the chance to challenge myself with how to style one of their casual streetwear pieces I couldn't say no. 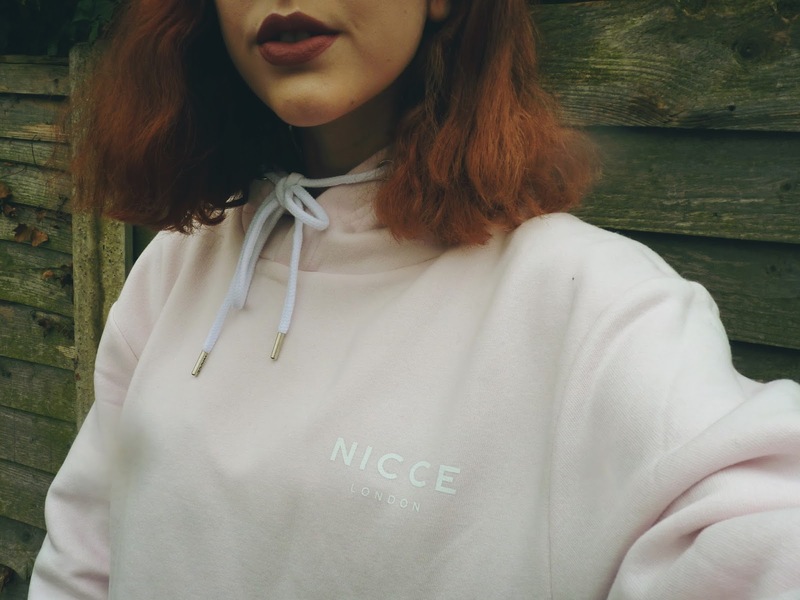 Nicce London are a london based lifestyle brand, with clean cut, no fuss contemporary style streetwear which I personally think embraces the city culture. 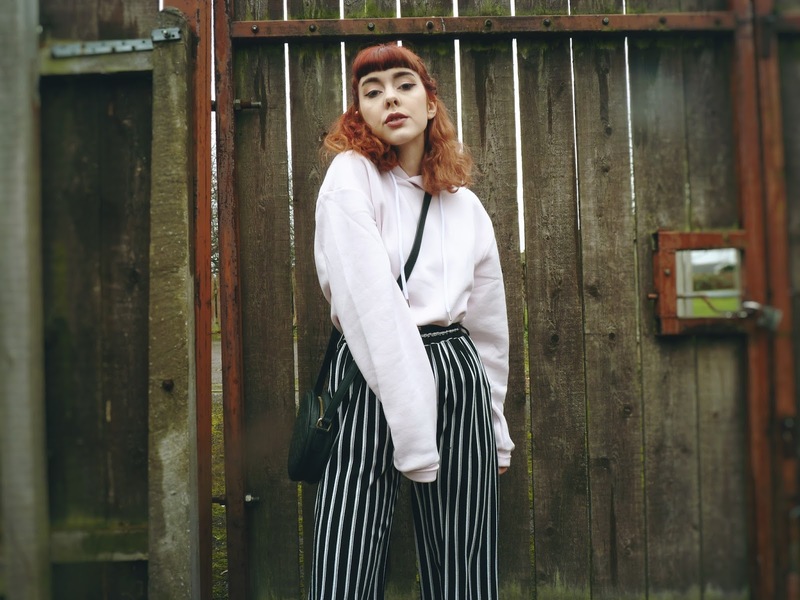 I dip my toes into streetwear now and again because I love the comfortable side to that fashion, but for me I really wanted to see how I could put my own alternative twist on the items to dress their pieces up and down. 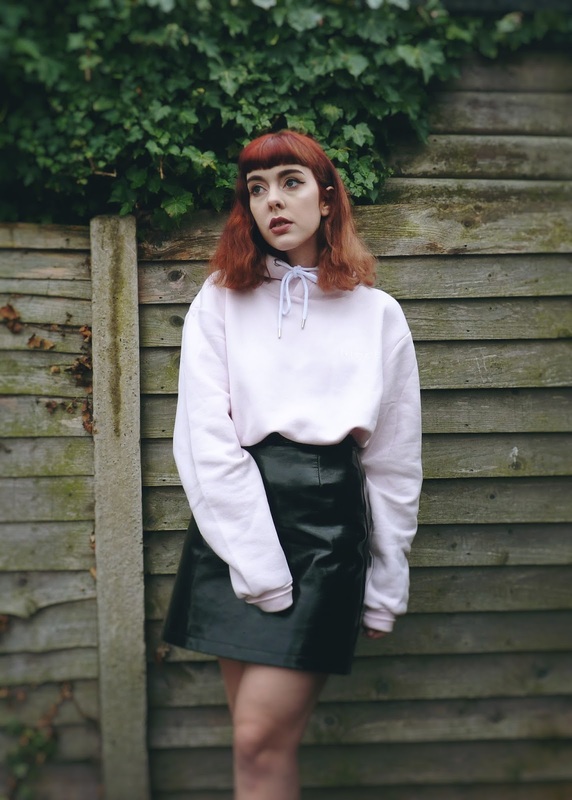 I fell instantly in love with this pink hoodie*, very on trend in both the high street and more alternative retailers lately. 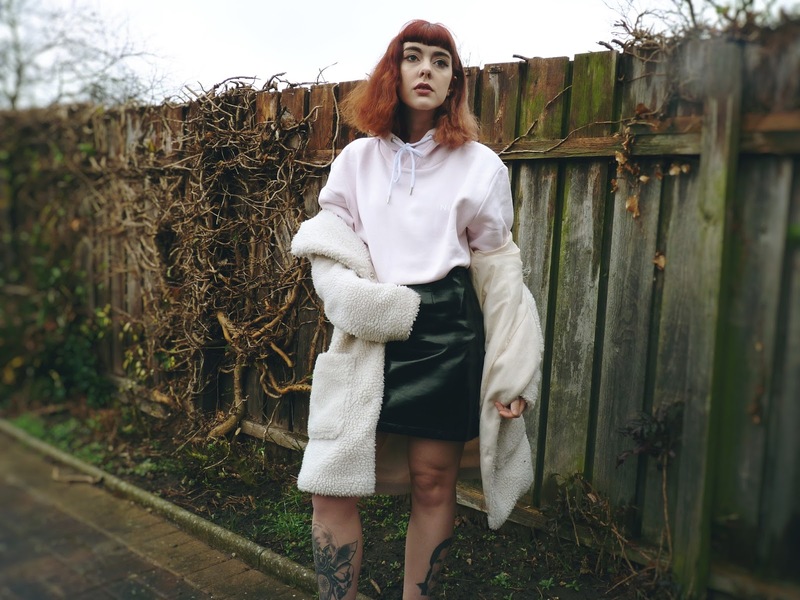 As someone who rarely stems away from the colour black I thought I'd get in the mood of February but also the promise of Spring, choosing the light pink hoodie so that it would add a feminine touch to the alternative look I was going to create. 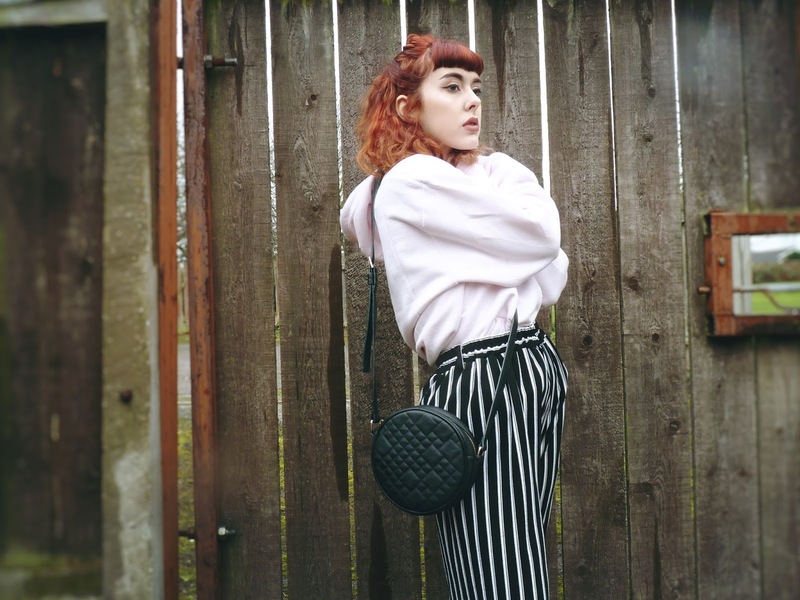 I decided to style it two ways so you guys can see how I would generally change it up from day to day, keeping it very casual but with my own favourite touches. 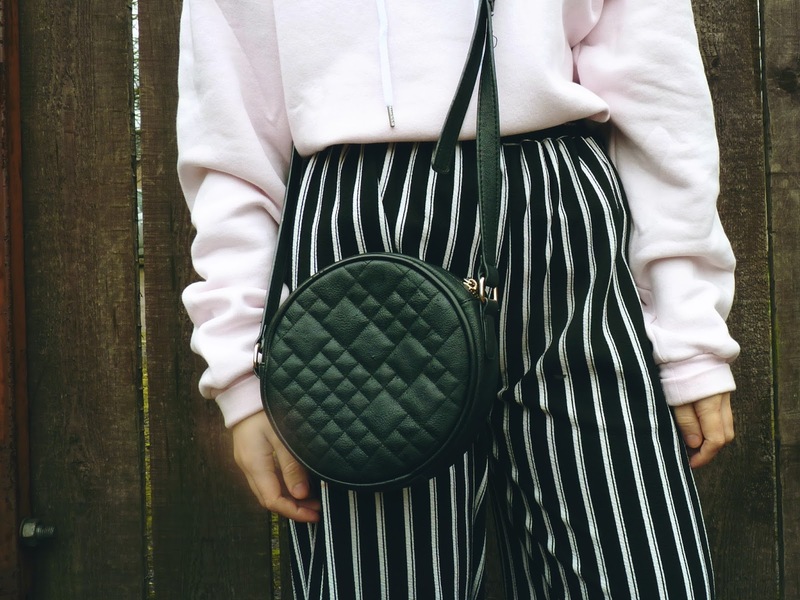 I find an easy way to 'dress up' or atleast add a feminine touch to a hoodie is tuck it into a skirt or your jeans - it shows off a little hip and means you can have fun and pair a plain hoodie with a skirt that holds all the interest. 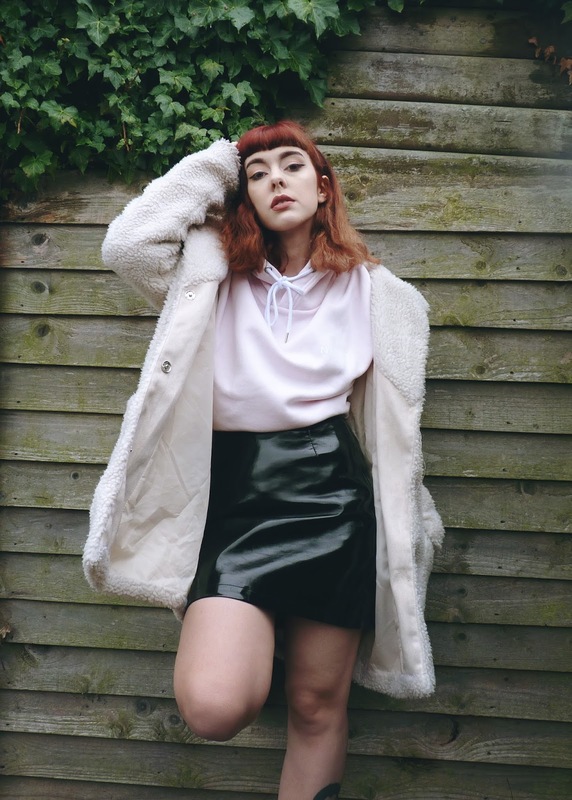 The easiest way to make an outfit look nice is pair something basic with something that does all the talking and for me it definitely has been this PVC skirt that I found for a bargain in Primark. 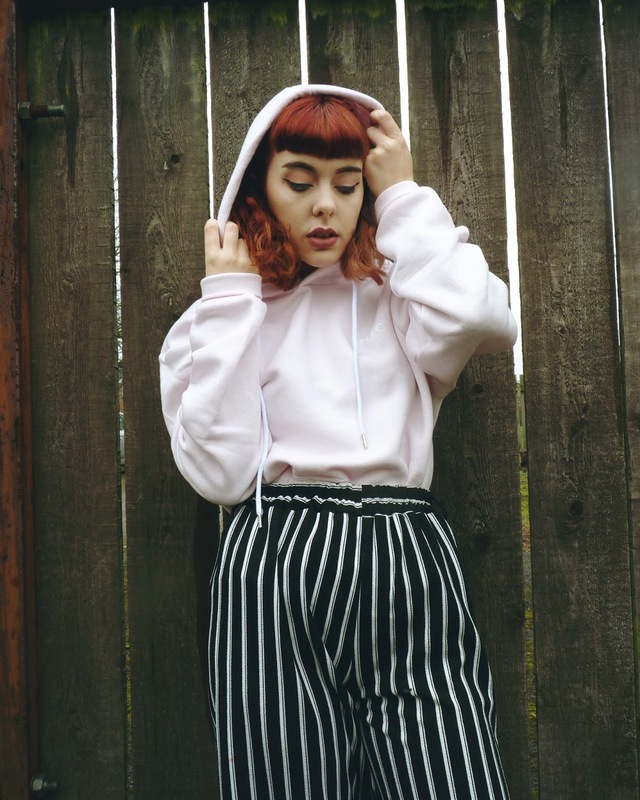 I wear it to death and I instantly thought it was a good on trend item in the alternative fashion world to give this hoodie* my own sense of style. 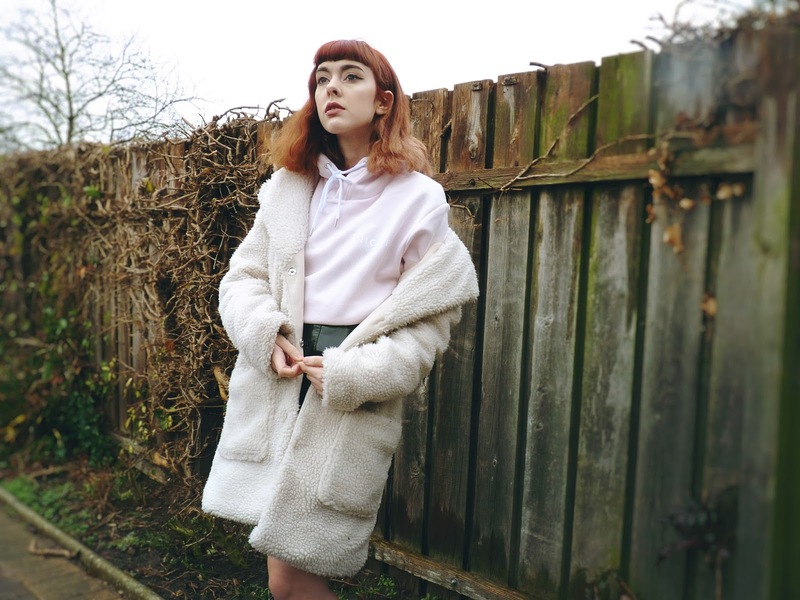 Even with my legs out I think a huge coat can work wonders so I've thrown on a faux sheepskin teddy coat also from Primark - both neutral colours so that the baby pink hoodie can be my standing out item. I love that the pull ties on the neck are long because it means I can tie them in a bow at the neck to protect myself from the cold! The hoodie only retails at £45 which for a London based luxury quality item is fantastic. The second style I usually go for is trustly cullottes, I pair them with anything in the situation I want to make myself comfortable. Theres no better feeling then knowing you can go from working in an office to straight away sprawling out on the sofa in your trusty culottes, stretchy, flattering and most of all a good rely on item if you then need to pop out for anything to look slightly presentable. 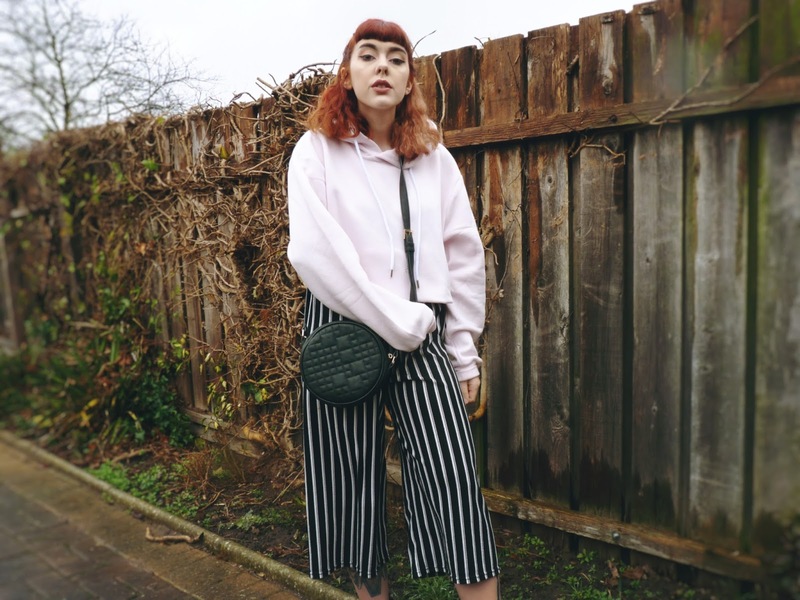 As a short person I opt for alot of things cropped because it just suits my body better - so I went with my striped culottes that I'm dying to wear more when the weather starts to get better. I call this look my running errands gear outfit, tucking the hoodie in again because so I don't look asif I'm hiding away while I nip to the shops. I love to see bloggers looking their best in up styled outfits, but I also have this fasination of seeing how they style day to day items. 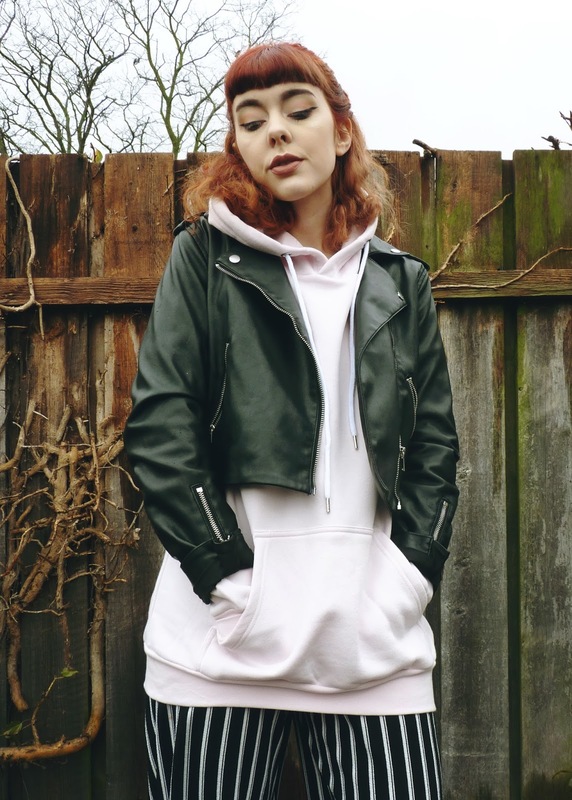 I find it so hard sometimes to maintain a sense of style whilst wanting comfortable clothing, so I'm head over heals for this baby pink hoodie* because it's different than what I'd usually go for. Super soft, great quality for warmth and in spirit for valentines day because I'm going to be hiding away watching netflix alone! Both looks are very similiar but I think a hoodie is something so easy to intergrate into your wardrobe. How would you style this hoodie? 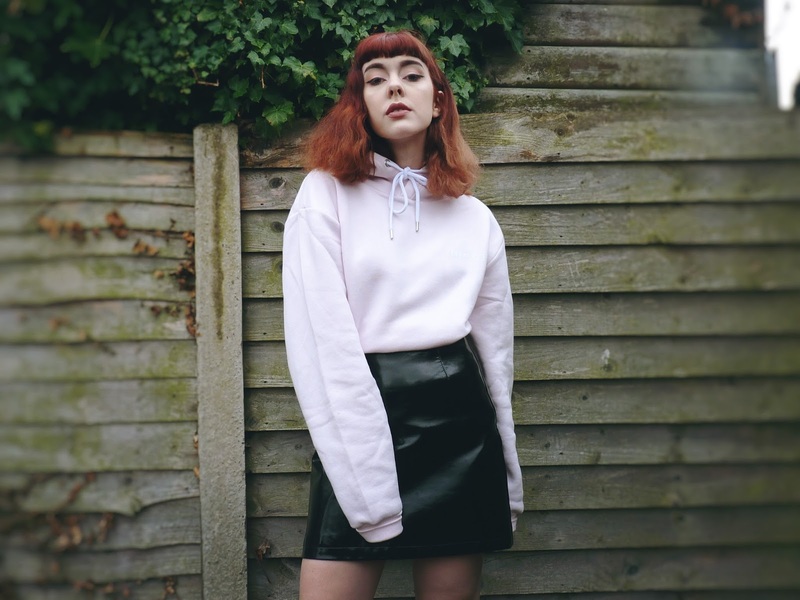 I love how simple and clean Nicce London's collection is and especially how unisex it is! Diversity is something everyone needs to be pushing and I think its great when you can take an item that caters to everyone. 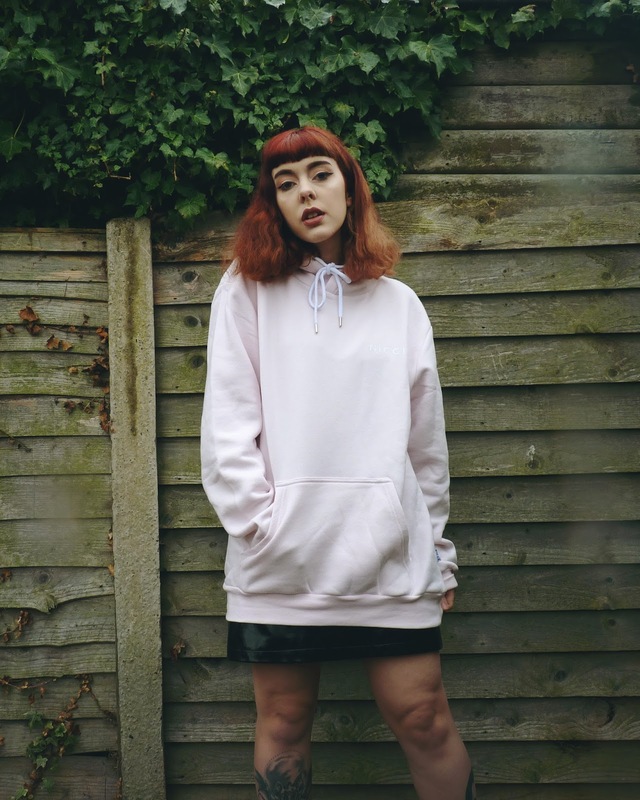 I'd never think to go for a baby pink hoodie but it definitely has perked me up ready for Spring and to attempt to take a walk from simple black sometimes. I love these looks, the colour of that hoodie is so pretty. You look amazing! 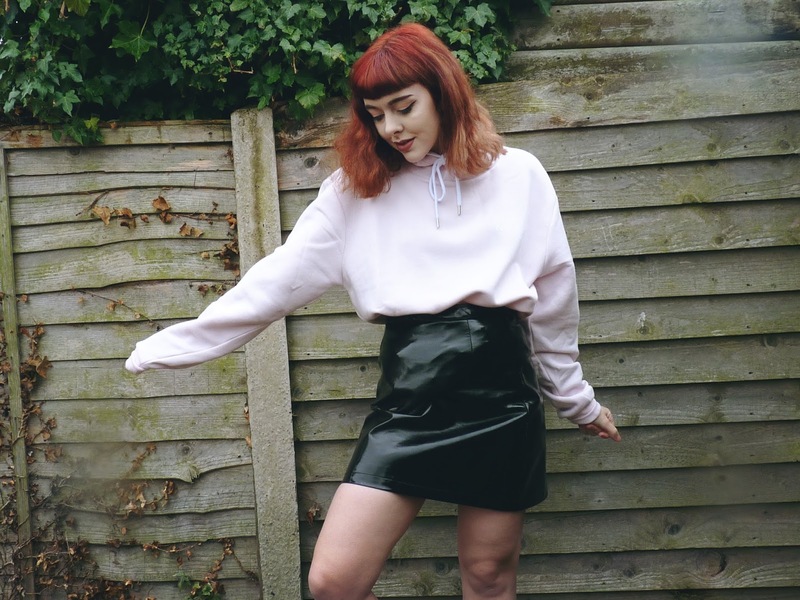 This hoodie looks super good paired with you PVC skirt. I would personally crop the hoodie since I live in a hot climate and pair it with black fitted trousers. 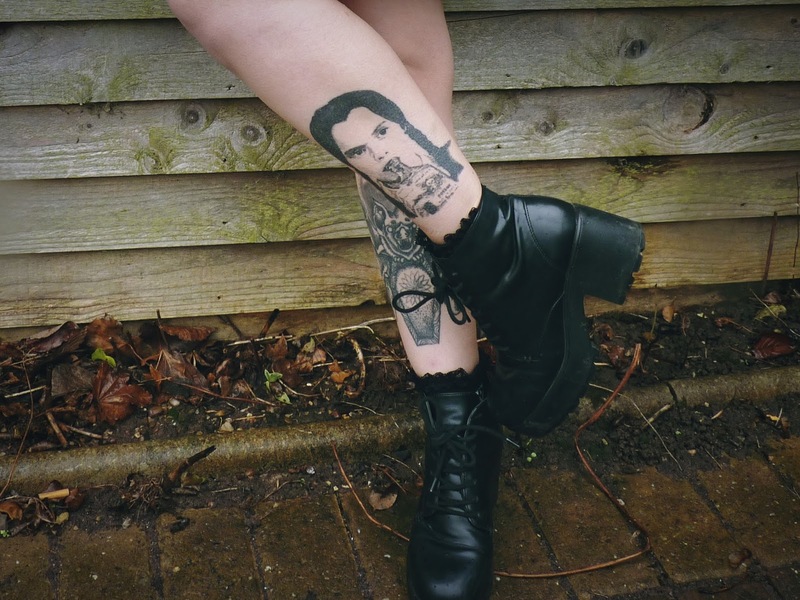 Also, I’m dying over your Wednesday tattoo. Love both of the ways you styled this! I agree, tucking something in is very flattering! Gives you more of a shape I find. Plus, lets be honest, probs helps to keep you a little warmer too. 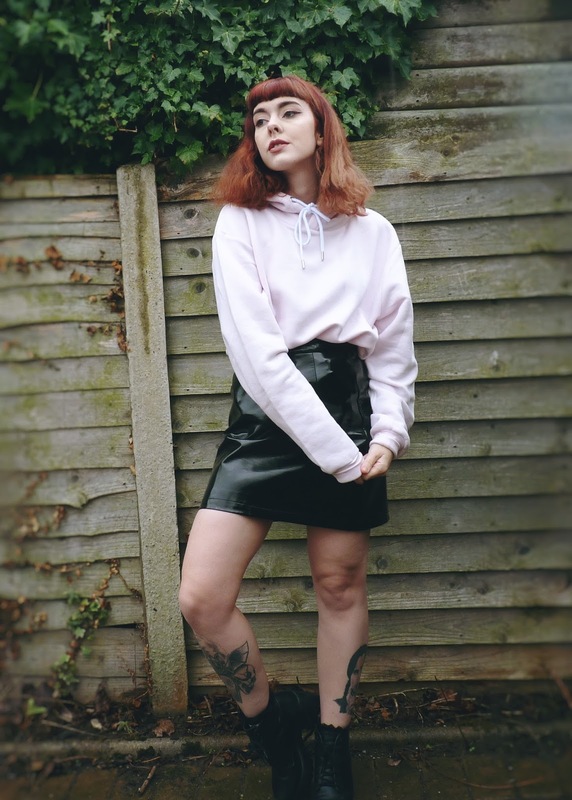 Im more of a sweater jumper person, and I like to style those with skirts too.